Since becoming manager in October, Jimmy Mullen had made just the one signings, the £40,000 capture of Adrian Randall from Aldershot. The midfielder had been in and out of the side but he'd suffered due to being cup-tied and the club having featured in three FA Cup games since his arrival. Now Mullen had strengthened the squad again with the £15,000 signing of winger Paul McKenzie from Peterhead in the Highland League. 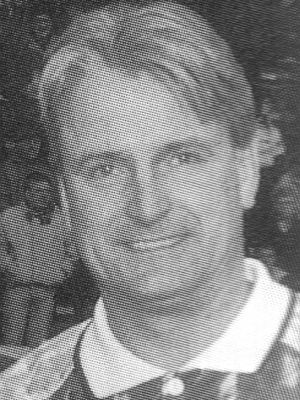 The Clarets had moved quickly to snap up the winger who'd scored a total of 17 goals in the 1991/92 season for his club, and all from his position on the wing. The Clarets' boss said that McKenzie had been playing football part time and had also been working as a postman. He added that he would need to get himself accustomed to full time training before getting a place in the first team squad. That was a new winger in place, but a new goalkeeper was still not on the horizon. There was strong speculation that the target was Lincoln City's Matt Dickens but Mullen dismissed the rumour that we'd offered £150,000 for him. "Dickens is one of only about a dozen or so goalkeepers I have enquired about, but I have not made a £150,000 bid for him," Mullen said, although he did confirm that there had been talks between the two clubs. The Autoglass Trophy game against Scarborough, abandoned the week before, was called off during this week but a new date of the following Tuesday was confirmed. That was after our league game at Walsall where the home club, expecting big numbers, had decided to hit our pensioners and kids by withdrawing concession prices for visiting fans. Burnley confirmed that the game was all ticket for away supporters and prices would be £8.50 and £7.50 in the stands and £5 on the terraces. It was also confirmed that the Lincolnshire police had yet again decided that an early kick off would be required for our game at Scunthorpe, the away game after Walsall. The game was scheduled for an 11:00 a.m. kick off. This, on police orders, would be strictly all ticket.